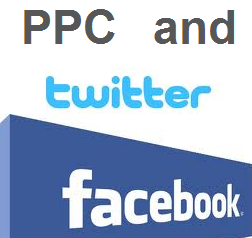 It could be said that PPC is a relatively new form of advertisement on the internet. Coincide this great form of advertisement with social media sites such as Twitter and Facebook and you are on to some serious success. Twitter and Facebook have expanded rapidly over the last few years with thousands if not millions of users joining daily. This niche expanding market is a great opportunity for PPC advertisers to benefit from. All you need to know is how to effectively use social media alongside your PPC campaign. It is clear that social media sites have the ability to gain your landing pages extra traffic. To implement this, you must include social buttons on the landing page of your campaign. This will encourage likes, tweets, stumble upons and more to spread awareness of what you are trying to promote. It is a win-win situation. If they share your landing page with social websites, you gain more traffic. If they don’t, no big deal! You will not lose any traffic because of it. Most advertisers will agree that finding the right target market to display your adverts to can be quite a challenging decision. Some markets will have higher conversion rate but will cost more while others are the opposite. They are also very unpredictable with demand and CPC changing constantly. With social media, at least you know a bit about the type of people that are landing on your page. They use Twitter. Therefore, they are social. If they have tweeted over 1000 times, they are good at using the internet and have been using it a long time. All these little hints make you see what type of people that are landing on your page from social sites. As much PPC is a great way to advertise and be cost efficient, it still is not free. You have to pay for traffic be it ineffective or a high conversing traffic. Social sites have the ability to bring you traffic that is of high quality. People on Twitter and Facebook will only click on links they are interested in (they do not waste time). Therefore, you will know the traffic coming from social sites will 99% be interested in your landing page. I wouldn’t call it a friendship, but a way to increase your online community. Social sites on your landing page will encourage users to follow you, like you and add you as a friend on social sites. Therefore, you now have the ability to update those interested in what you want to advertise. It could almost be seen as email marketing. You now have an audience to speak out to. What more, they want to listen. The old phrase where people spread ideas can relate to social media and your PPC advert. If your advert interested a user enough, they can share it with their friends increasing the exposure of your landing page. You will be able to determine your success of word of mouth through the direct traffic you gain. You can learn how to analyse your landing page’s success in a Part 1 and Part 2 article on How to Analyse Your Landing Page’s Success Using Google Analytics. It needs to be made clear that social media is generally very beneficial to your advertising campaign. It cannot affect you bad. The worse that could happen is people disliking your advert. Even so, it is still added and free exposure: even if it is to the wrong type of people. From this, make sure to utilise social media especially Twitter and Facebook as much as possible.